Thanksgiving is right around the corner and chances are you’ve already received invites to Friendsgivings parties. The great part about attending Friendsgiving is that it’s normally potluck style, which means guests can bring any dishes they want. If you want to bring a little Latin flavor to your Friendsgiving this year, but don’t want to spend hours slaving over a stove, there are plenty of Latino-friendly treats to share with your friends. Whether you’re bringing a dessert, a side dish, or a special drink, we have some fun ideas for you. 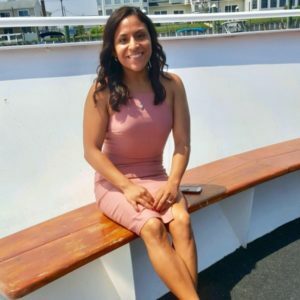 Giselle is a NYC-based freelance lifestyle reporter with a passion for fitness, entertainment, cooking, and dogs.